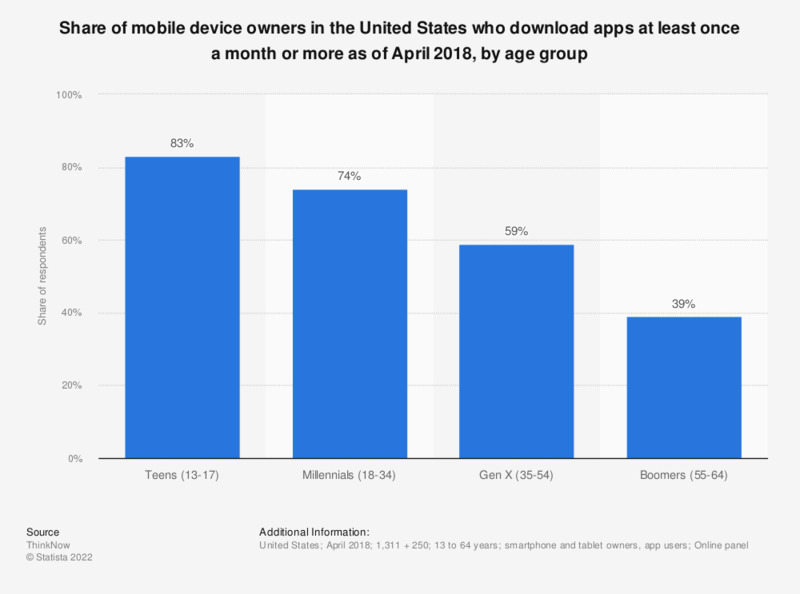 This statistic gives information on the percentage of mobile device owners in the United States who download apps at least once a month or more as of April 2018, sorted by age group. During the survey period, it was found that 74 percent of responding Millennial app users downloaded apps to their mobile device on a monthly basis. Original question: A3. About how often do you download a new app to your mobile device(s)/delete apps from your device?